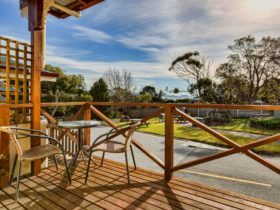 Seymour Waves holiday home is situated on the east coast of Tasmania in an area known as the Surf Coast. 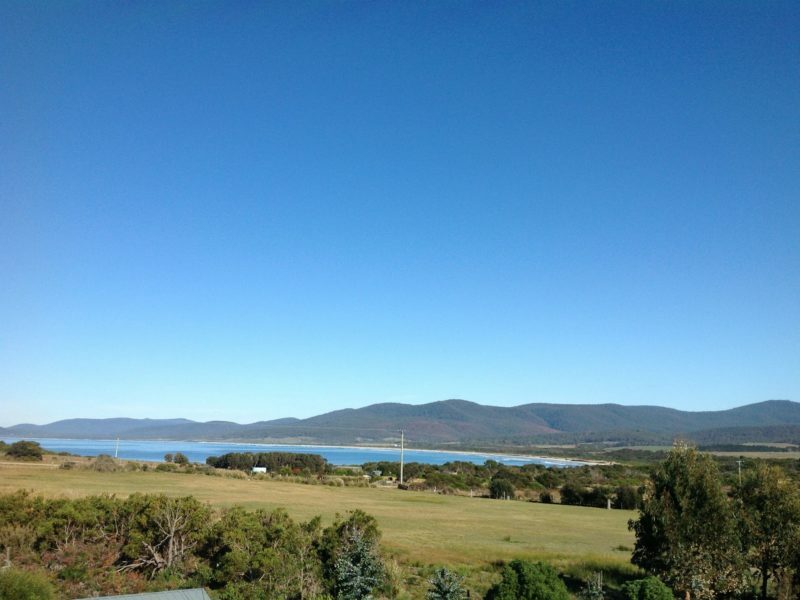 This privately owned accommodation is ideal for families, groups or couples to stay for fun holidays which include fishing, camping, surfing, diving and/or romantic weekends away. 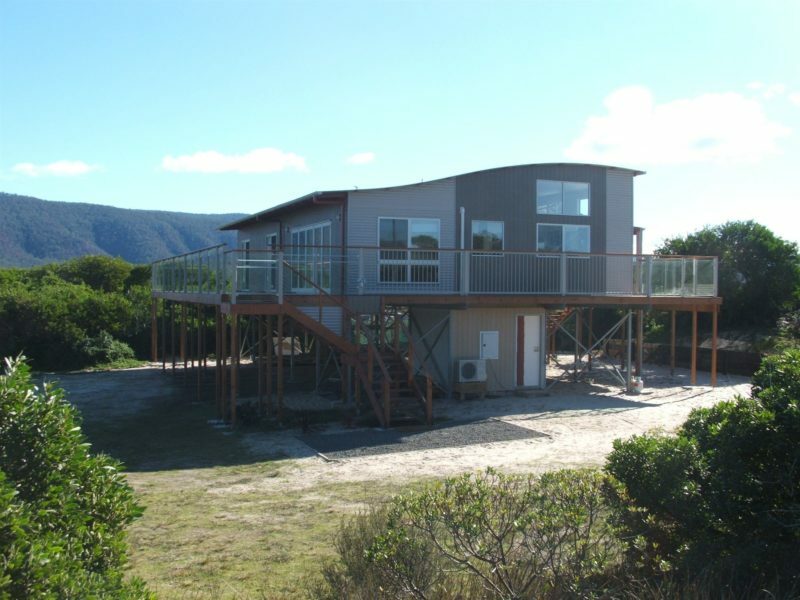 Remotely located a 15-minute drive north of Bicheno at Long Point, the property is adjacent to the old town of Seymour. 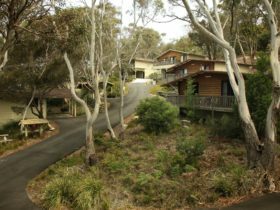 The house features an elevated living area with three bedrooms sleeping six people, two bathrooms, laundry, large living area as well as large front and back decks surrounding the house. 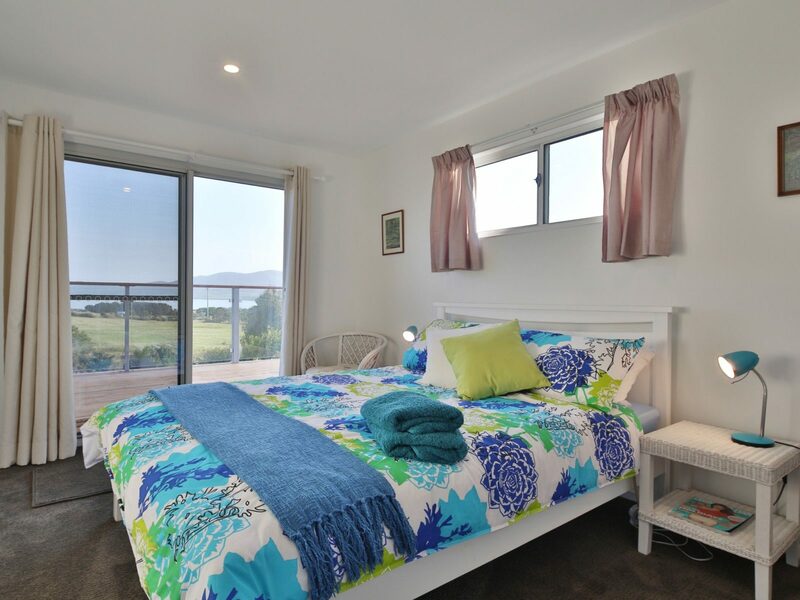 The home is fully self-contained including linen and towels, all you need is food and drink! Heat is supplied by a heat pump and the home is fully insulated with double glazing throughout. Both decks have outdoor furniture with a gas barbecue on the back deck. Underneath parking is available as well as a storage room that can be used for bicycles, surfboards, fishing gear and more. For those who want the proper camping experience there is a separate campfire area with barbecue and seating amongst the trees at the bottom of the garden. 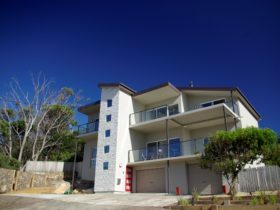 The house features an elevated living area with three bedrooms sleeping six people, two bathrooms, laundry, large living area as well as large front and back decks surrounding the building. 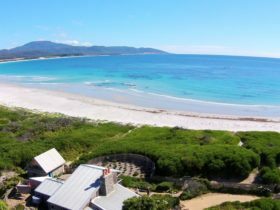 The home is fully self contained including linen and towels, but bring along beach towels, all you need is food and drink! Heat is supplied via a heat pump and the home is fully insulated with double glazing throughout. Both decks have outdoor furniture with a gas barbecue on the back deck. 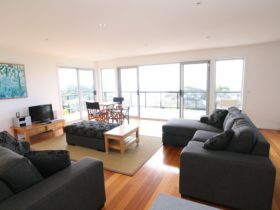 All you need is food and drink, the kitchen is fully self contained. Television, DVD, and CD facilities are available as well as a range of music, DVDs, books, games and children’s activities. Surfboards, bikes and sports equipment are available to use. 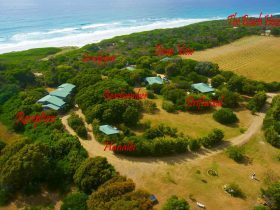 Price includes access to the whole property. Linen and towels are free and a stocked condiment pantry as well as tea and coffee.